Eleuthero also known as Eleutherococcus senticosus is another herb that has great benefits for the body. It is used in traditional Chinese medicine as a substitute to Panax ginseng because it is believed to share the same medicinal properties. 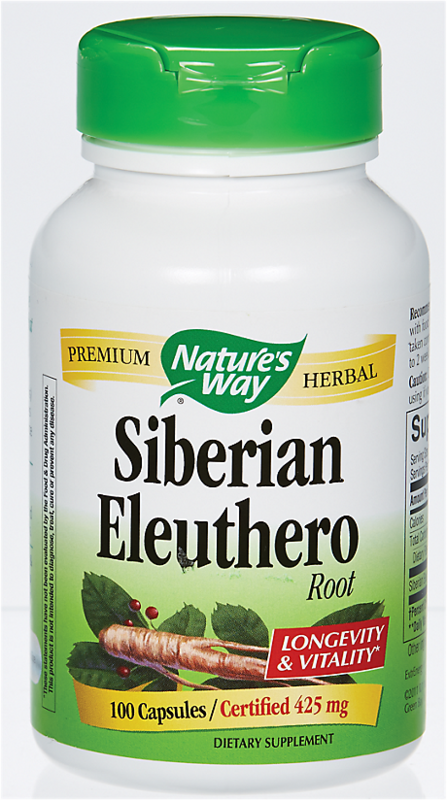 It is often marketed as “Siberian Ginseng” but such marketing ploy is banned in the US since Eleuthero is of the Araliaceae family. Several sources show that the herb has been used in Chinese herbology much like Panax ginseng. Just like the famous Ginseng, Eleuthero has adaptogen capabilities. It is the capability to raise the resistance of the body to daily stress. Stress can be in the form of mental, emotional and physical stress. However, much emphasis is placed on resistance to physical stressors like fatigue, weakness, sleep deprivation and more. The possible component in Eleuthero is Eleutheroside E or just EE. A study showed test subjects under stress (sleep deprivation) was relatively reduced when given EE. 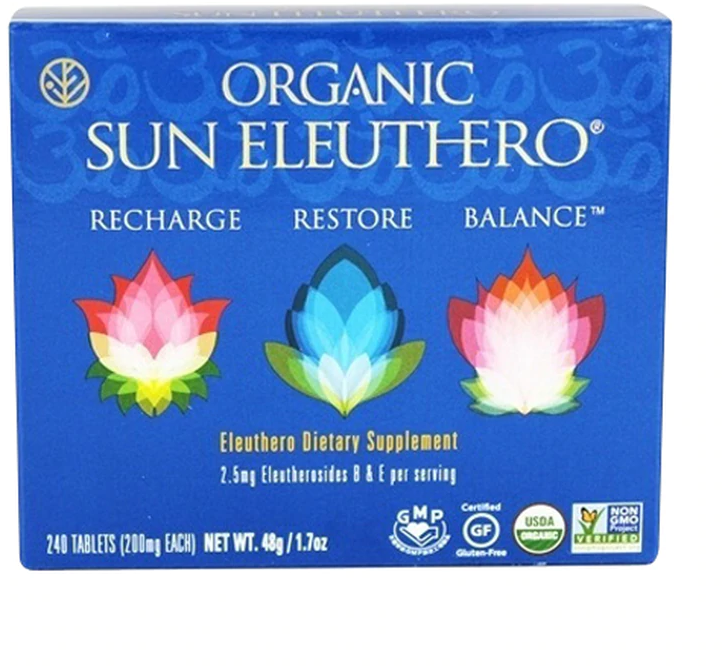 Eleuthero is also a great immune booster against specific viruses. One study explored its antiviral effect against herpes simplex 2 (HSV-2) with Eleuthero extracts. Again, EE showed great promise in reducing exacerbation, duration and number of lesions. Combined with another herb, andrographis, it is effective against the common cold. The following are possible benefits of Eleuthero however there needs to be more research to establish its effectiveness. The following are purported benefits from Chinese herbal medicine and second hand information and reviews after using the herb. Memory booster – Just like regular ginseng, Eleuthero is thought to be able to increase memory and feelings of well-being. Chronic fatigue syndrome – There seems to be no human trials or studies yet that support this. However, various users have claimed that they were relieved of symptoms associated with CFS. Quality of life – Several studies have shown that Eleuthero can help improve social life and well-being especially for people aged 65 and over after 4 weeks of treatment. However, the effect lasts only for 8 weeks. No study has been made about daily Eleuthero dosage yet. Athletic performance booster – Due to its capability to reduce stress, some athletes have begun using the herb to boost athletic performance. However, no human trials and studies have been made yet to assess this capability of Eleuthero. As an herbal remedy, there are many users that profess various claims and benefits. The following are benefits that are not evaluated or studied yet with human trials. 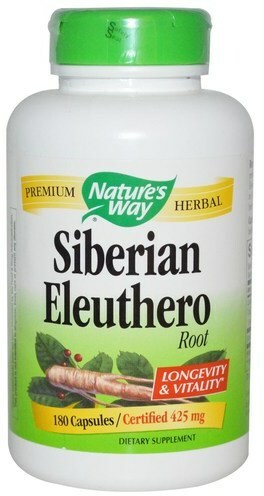 Many users think that because Eleuthero is named as Siberian Ginseng that it probably has benefits for the heart. No evidence supports this yet and it is not advised to take the herb to cure heart problems or replace medications. Some have professed that Eleuthero is capable of lowering high cholesterol levels. There are no recorded cases of this yet and without clinical trials, its efficacy as an anti-cholesterol drug is unsupported. Allegedly, kidney problems can be alleviated with the herb. The herb does seem to increase or improve urination however the capability to urinate is not a definitive factor of kidney health. 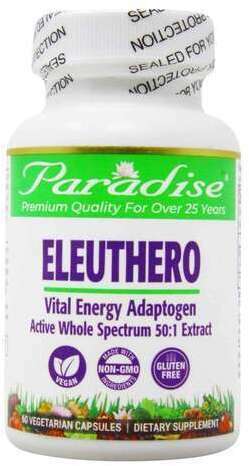 Eleuthero is frequently used by people aged 50 and above. Verbal reviews alleged that it prevented “senility” or Alzheimer’s disease. This led to several conclusions stating that Eleuthero may improve the brain and prevent other disorders like depression, fibromyalgia and even attention deficit-hyperactivity disorder. Without clinical trials, the above mentioned benefits may be due to placebo effect. Depending on the extraction technique, any or all of the following substances may exert different effects. Purification of one or two may also intensity and creates different benefits or even side effects. Most of the ingredients of Eleuthero have been tested and used in different trials involving mostly animals like mice. Some clinical trials involving humans are currently on going. There is no research yet that identifies most of the effects of Ciwujianosides A to M. However, two of have been studied such as Ciwujianoside D1 and C1. The pair is found to be powerful histamine inhibitors in rats. The effect is 6800 times more powerful than disodium cormoglycate, a popular drug used to stabilize histamine producing mast cells. Tested on mice, Eleutheroside E was capable to reduce stress from sleep deprivation. The rest of the Eleutherosides A to M. Several studies are ongoing to test their benefits and possible side effects. Still the study did not specifically establish the benefits. More studies have to be done to identify the benefits of isofraxidin extracted from Eleuthero. Higher doses and chronic use may trigger more side effects. Pregnant and lactating mothers - Due to different preparations, its estrogenic properties from Friedelin may be increased and cause problems for pregnant and lactating mothers. Existing cardiovascular disease – Heart conditions such as rheumatic heart disease, peripheral vascular disorders and more may be worsened with arrhythmia. 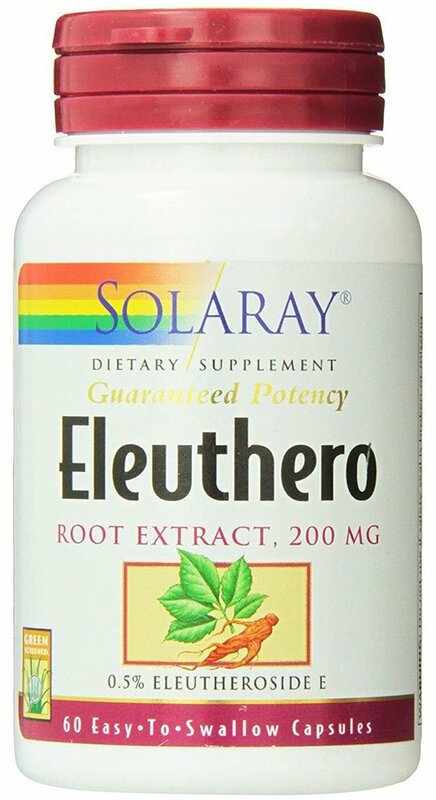 A blood pressure of more than 180/90 may be worsened by Eleuthero. Hormone sensitive conditions – Due to its estrogenic abilities and unknown quantification of most herbal preparations, Eleuthero may worsen conditions like breast cancer, uterine cancer, ovarian cancer and other uterine disorders. Diabetes Mellitus – Eleuthero may interfere with insulin and other hypoglycemic. Monitor blood sugar closely when taking the herb. Mental disorders – Though the herb is purported to be great for the central nervous system, due to its unknown action it may worsen conditions like Schizophrenia. Not all herbal medications are beneficial. 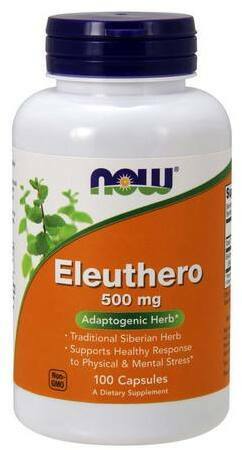 In the case of Eleuthero, there are too many unknown effects making it an herb that needs to be taken with caution. Huang LZ, Wei L, Zhao HF, Huang BK, Rahman K, Qin LP., "The effect of Eleutheroside E on behavioral alterations in murine sleep deprivation stress model." Umeyama A, Shoji N, Takei M, Endo K, Arihara S., "Ciwujianosides D1 and C1: powerful inhibitors of histamine release induced by anti-immunoglobulin E from rat peritoneal mast cells." Niu HS, Liu IM, Cheng JT, Lin CL, Hsu FL., "Hypoglycemic effect of syringin from Eleutherococcus senticosus in streptozotocin-induced diabetic rats." Gong X, Zhang L, Jiang R, Wang CD, Yin XR, Wan JY., "Hepatoprotective effects of syringin on fulminant hepatic failure induced by D-galactosamine and lipopolysaccharide in mice." Song YY, Li Y, Zhang HQ., "Therapeutic effect of syringin on adjuvant arthritis in rats and its mechanisms." Yang F, Yang L, Wang W, Liu Y, Zhao C, Zu Y., "Enrichment and Purification of Syringin, Eleutheroside E and Isofraxidin from Acanthopanax senticosus by Macroporous Resin." Aswar UM, Bhaskaran S, Mohan V, Bodhankar SL., "Estrogenic activity of friedelin rich fraction (IND-HE) separated from Cissus quadrangularis and its effect on female sexual function." Sunil C, Duraipandiyan V, Ignacimuthu S, Al-Dhabi NA., "Antioxidant, free radical scavenging and liver protective effects of friedelin isolated from Azima tetracantha Lam. leaves." Antonisamy P, Duraipandiyan V, Ignacimuthu S., "Anti-inflammatory, analgesic and antipyretic effects of friedelin isolated from Azima tetracantha Lam. in mouse and rat models." Sun H, Lv H, Zhang Y, Wang X, Bi K, Cao H., "A rapid and sensitive UPLC-ESI MS method for analysis of isofraxidin, a natural antistress compound, and its metabolites in rat plasma." Dowling EA, Redondo DR, Branch JD, Jones S, McNabb G, Williams MH., "Effect of Eleutherococcus senticosus on submaximal and maximal exercise performance." Eschbach LF, Webster MJ, Boyd JC, McArthur PD, Evetovich TK., "The effect of siberian ginseng (Eleutherococcus senticosus) on substrate utilization and performance." 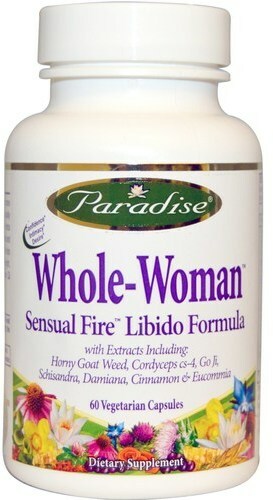 Paradise Herbs Whole-Woman was created. 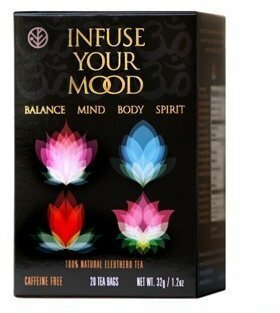 Sun Chlorella Eleuthero Tea - Infuse Your Mood was created. Solaray Siberian Ginseng and Gotu Kola was created. Sign up for future Siberian Ginseng news! 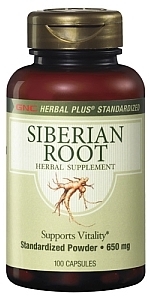 Click the button below to sign up for future Siberian Ginseng news, deals, coupons, and reviews! Sign up for future Siberian Ginseng deals and coupons! Click the button below to sign up for future Siberian Ginseng deals, news, and coupons! $5.40 This is a Buy 1 Get 1 FREE offer! $81.87 This is a Buy 1 Get 1 FREE offer!